PLEASE NOTE: Advance reservations are at capacity for this event. If you do not have a reservation, will will be unable to accommodate you. Thank you for your understanding. Former Massachusetts Governor and presidential candidate Michael Dukakis is the featured speaker for the second Walter Peterson Forum for Civil Discourse, being held in Bass Hall at the Monadnock Center for History and Culture on Wednesday, September 24, at 7:00 p.m.
Michael Dukakis first served as Governor of Massachusetts in 1974. Though he was defeated in the Democratic primary in 1978 by Edward King, Dukakis came back to defeat King in 1982 and was reelected to an unprecedented third four-year term in 1986 by one of the largest margins in history. In 1986, his colleagues in the National Governors’ Association voted him the most effective governor in the nation. Dukakis won the Democratic nomination for the presidency of the United States in 1988 but was defeated by George Bush. Soon thereafter, he announced that he would not be a candidate for reelection as governor. After leaving office in January 1991, Dukakis and his wife, Kitty, spent three months at the University of Hawaii where Dukakis was a visiting professor in the Department of Political Science and the School of Public Health. While at the University of Hawaii, he taught courses in political leadership and health policy and led a series of public forums on the reform of the nation’s health-care system. 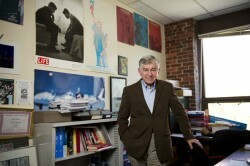 Since June 1991, Dukakis has been a Distinguished Professor of Political Science at Northeastern University and Visiting Professor at the School of Public Policy at UCLA. His research has focused on national health care policy reform and the lessons that national policy makers can learn from state reform efforts. He and former U.S. Senator Paul Simon authored a book entitled How to Get Into Politics-and Why which is designed to encourage young people to think seriously about politics and public service as a career. At the Walter Peterson Forum, Governor Dukakis will share his thoughts on the quality of today’s political discourse, and his ideas on how to improve both the quality and effectiveness of our engagement. Following a thirty-minute presentation, there will be a period for questions and discussion moderated by Doug Ley, a professor at Franklin Pierce University, and a member of the NH State Legislature. The forum is open to all, and is free of charge, however reservations are recommended, as space is limited. Please call 603-924-3235, or write assistant@nullmonadnockcenter.org and provide your name and the number of people in your party. The Walter Peterson Forum for Civil Discourse is a partnership between the Monadnock Center for History and Culture and the New England Center for Civic Life at Franklin Pierce University, with collaboration from the Monadnock Ledger Transcript. 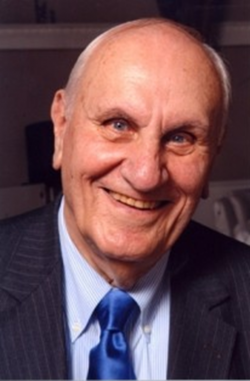 The Forum has been established to honor Walter Peterson and his commitment to fostering open and honest dialogue among individuals and groups with diverse perspectives.